I hate to start with such a depressing thought. 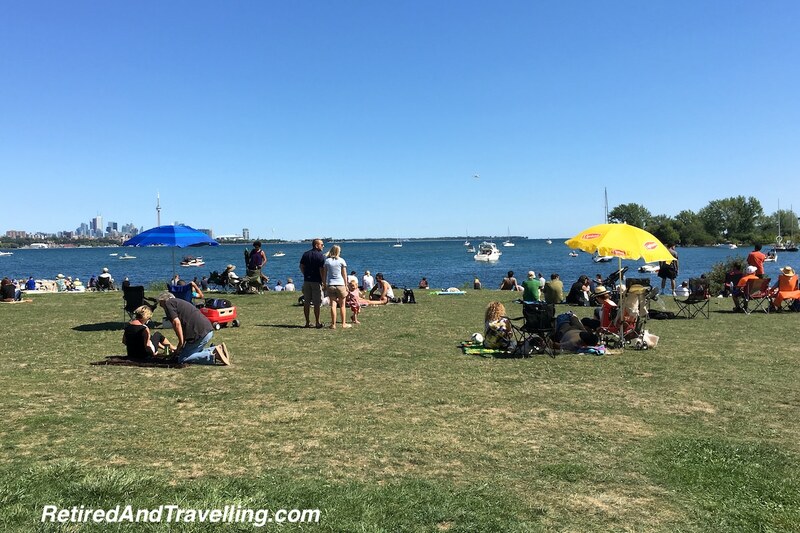 As a child, the Canadian National Exhibition (CNE) marked the end of summer. 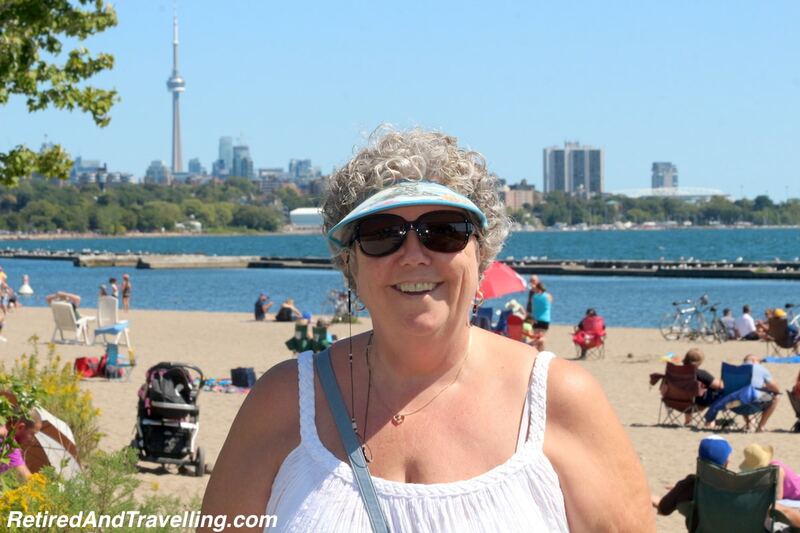 The CNE was a great way to find some fun and it offered a last outing as the days ticked down to the start of school. 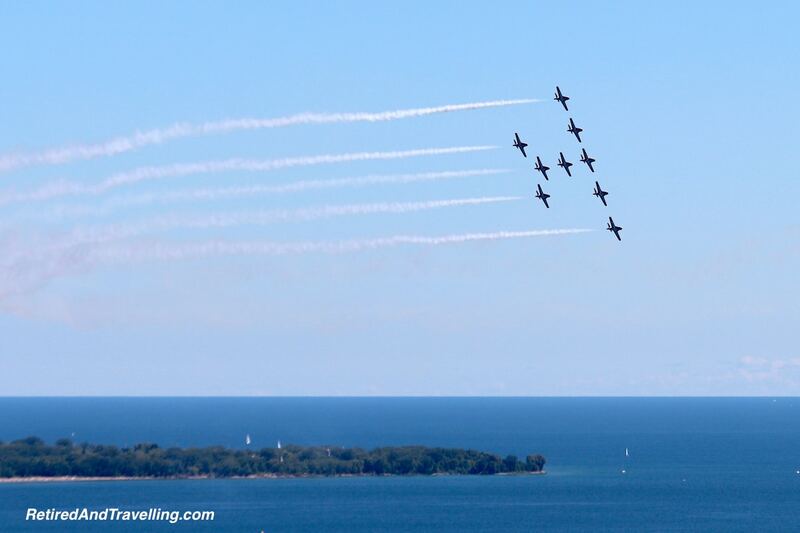 We always hope we are home Labour Day weekend to enjoy the Toronto airshow closing the CNE. Even though we know it signals that winter is coming! 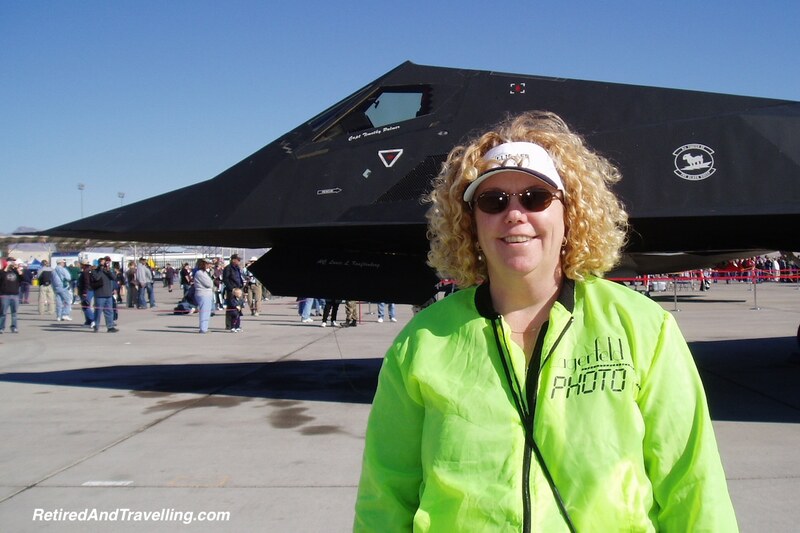 We are both big airshow fans. 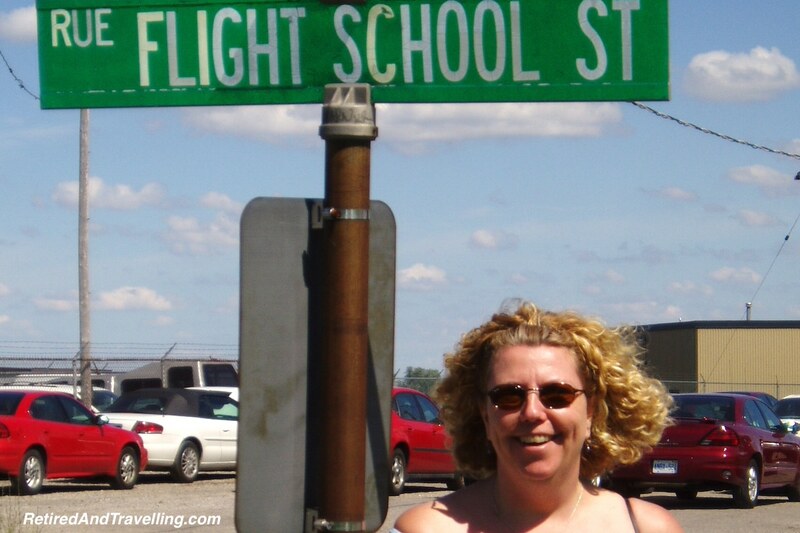 David and I met at flight school while we were taking flying lessons. 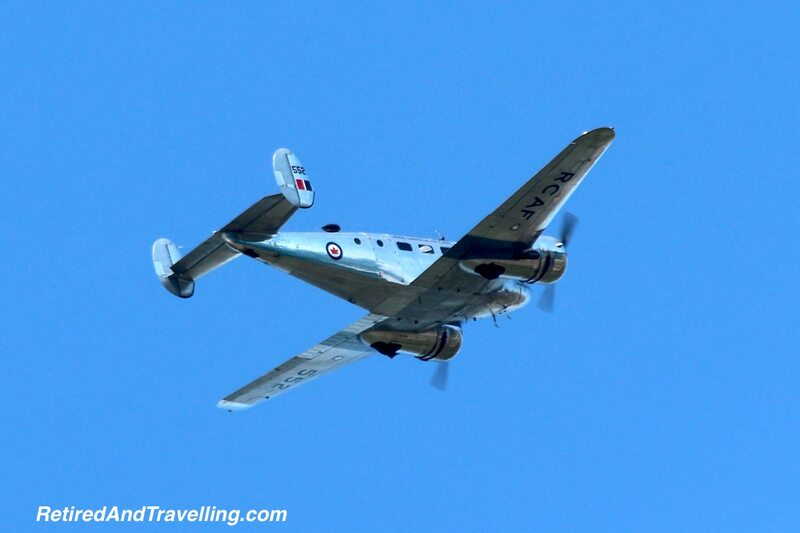 It started our time around planes. 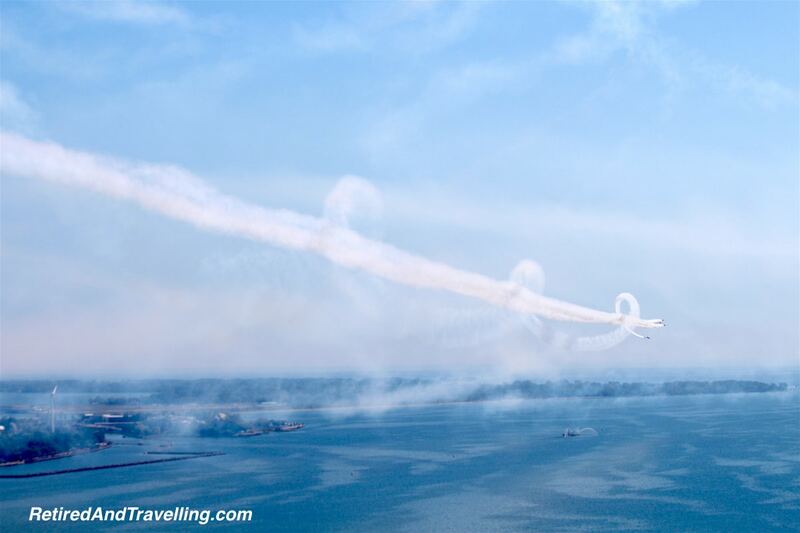 We have travelled to airshows in Canada and the US. 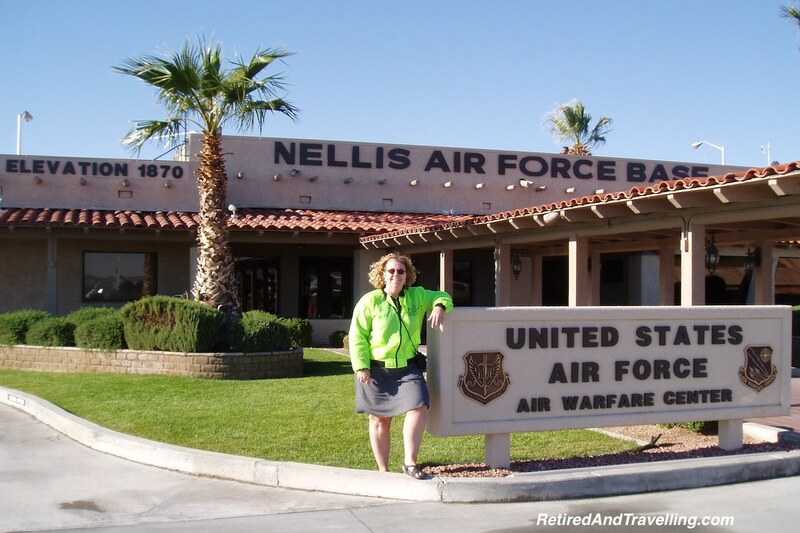 One year we even made it to the huge airshow in Vegas. This year we were in town for September. 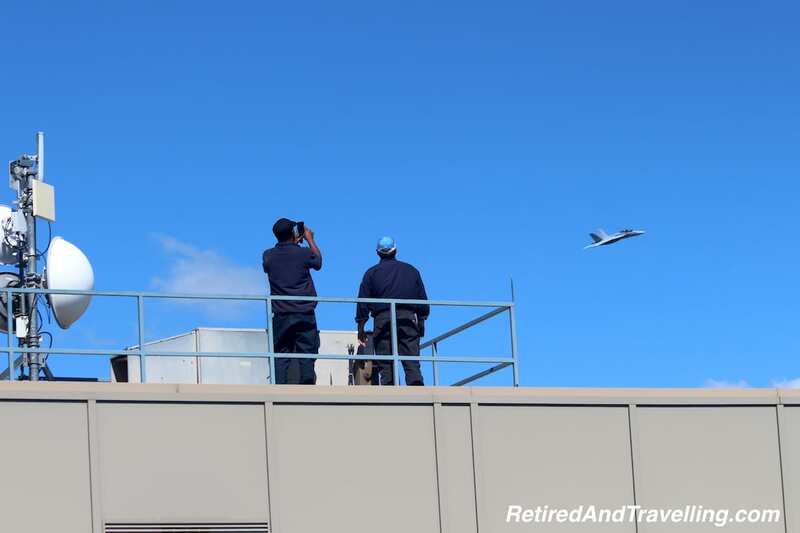 On the Toronto airshow practice day, David headed to the roof as we heard the first jets roar past. 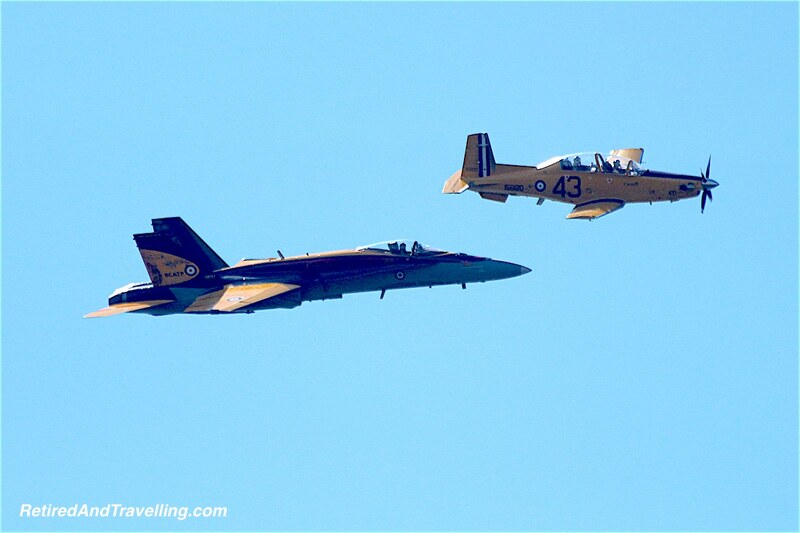 We live in a 47 storey condo on the lake and the roof is a great place to get buzzed as the planes fly by. 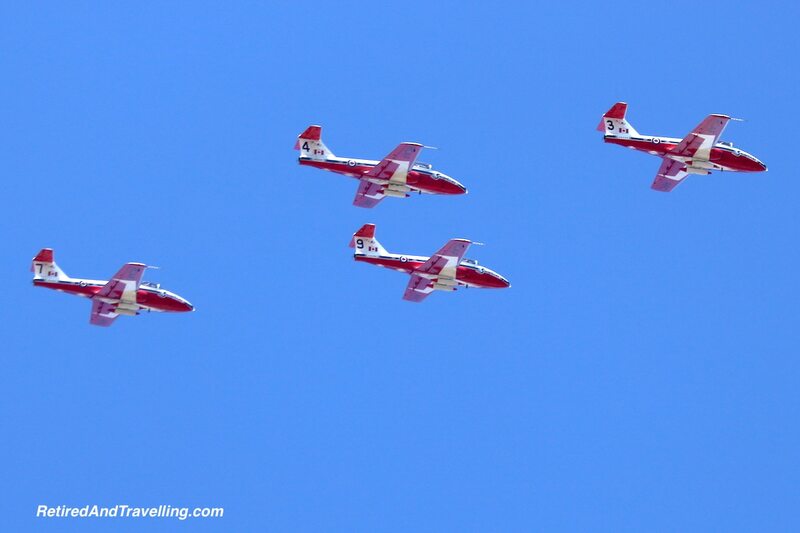 David caught both the F18s and the Snowbirds as they practiced their runs and acrobatic routines. This last weekend of summer brought us more great summer weather. It had been a hot summer and the temperatures were only moderating slightly. 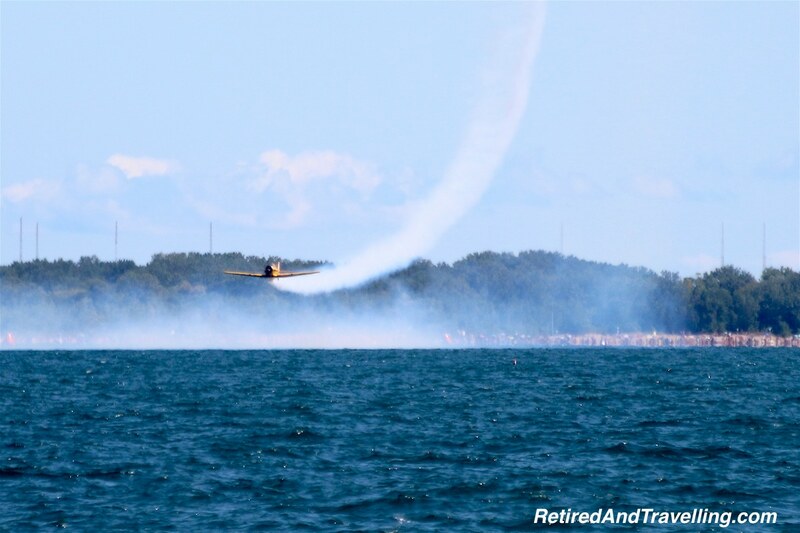 We would have 3 days of sun and warm temperatures to get as much of the airshow as we could want. 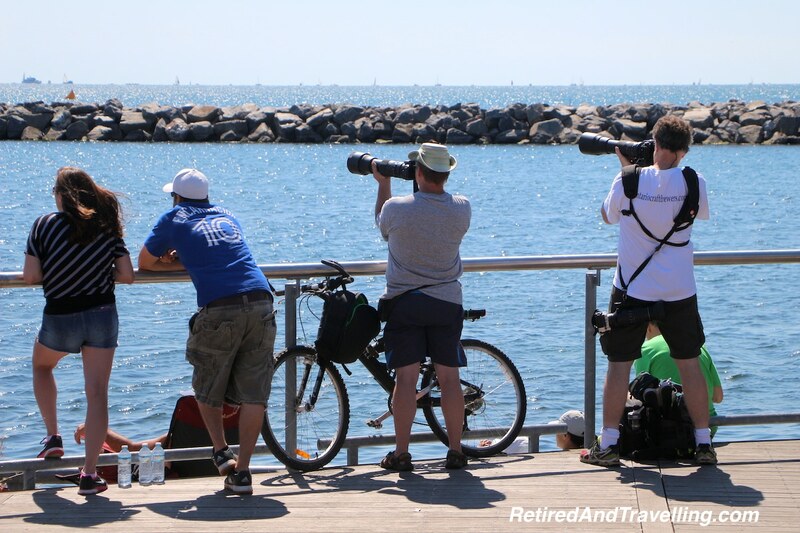 We were not the only ones out grabbing a spot along Lake Ontario to catch the Toronto airshow. 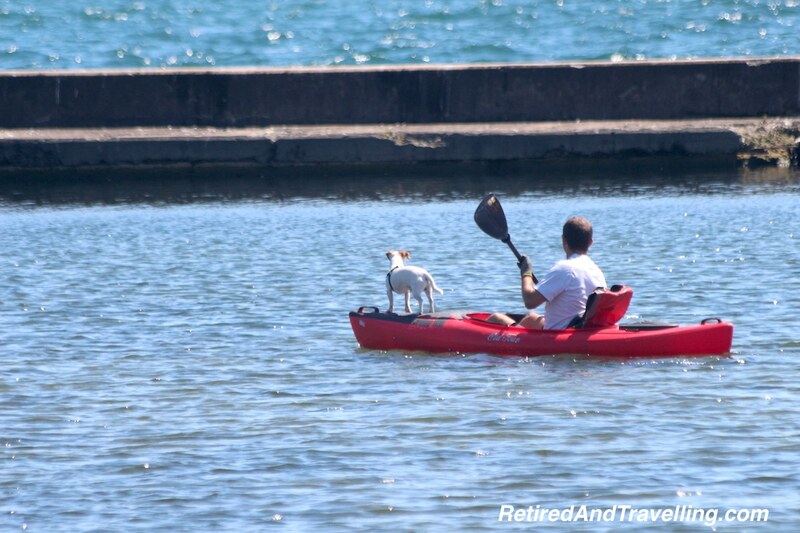 On the Saturday, we walked along the lakeshore. 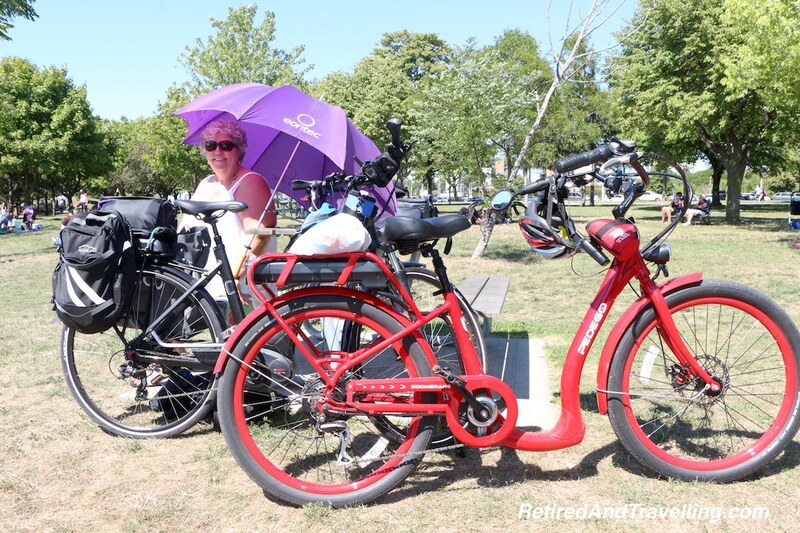 The bike and walking paths were full. 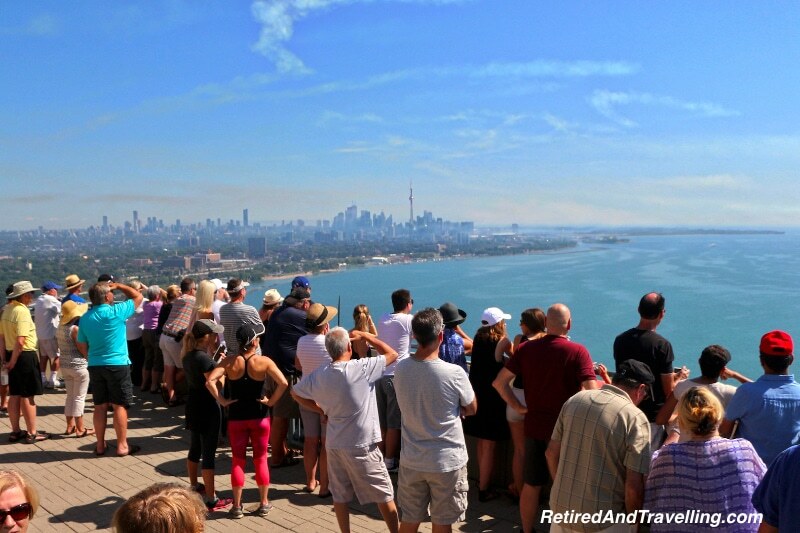 People stopped at the bridge over the Humber River to watch the planes fly by. 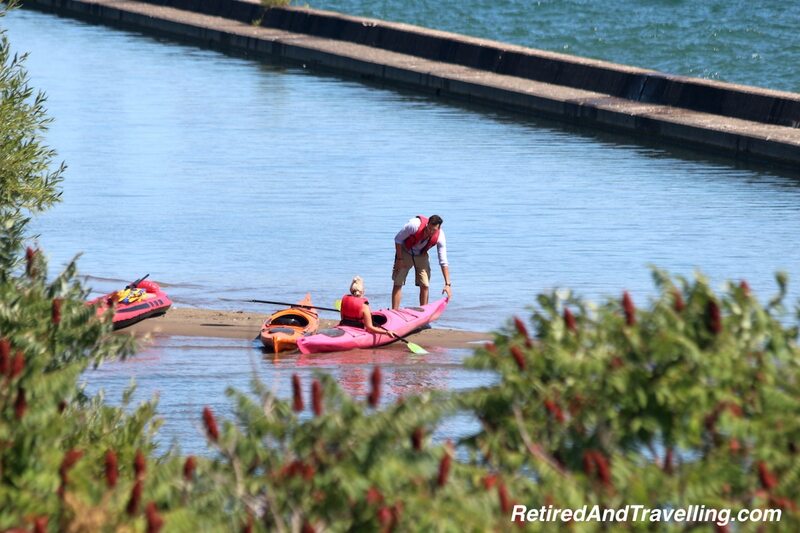 Even people in kayaks settled in for the show! 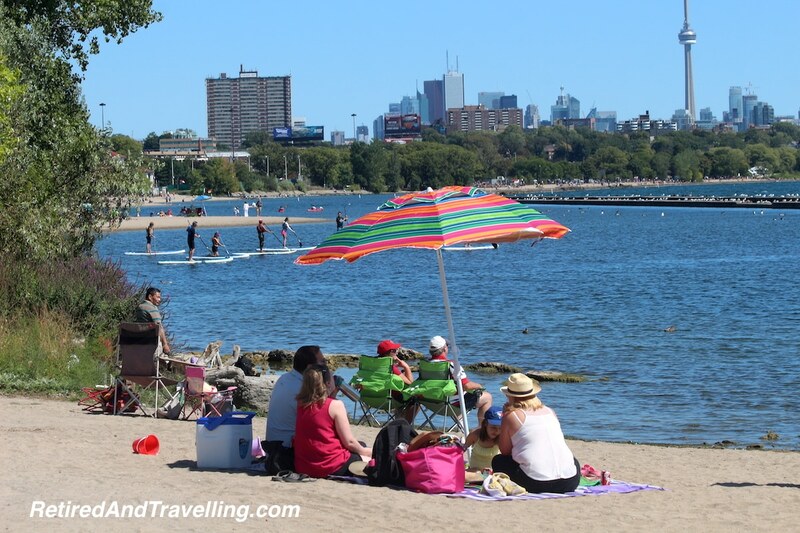 Others settled onto the beach by Sunnyside Pool. 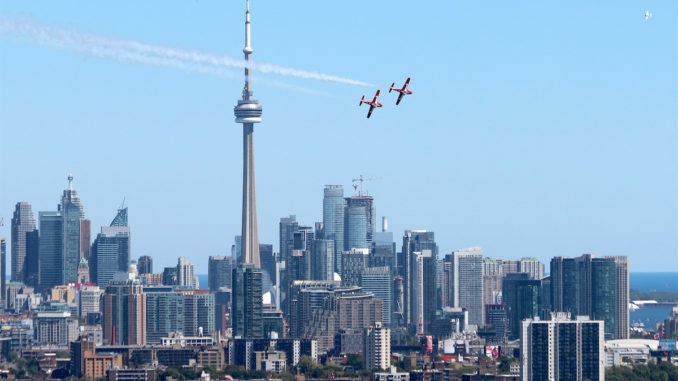 There could not be a much better view with the planes framed by the Toronto skyline. 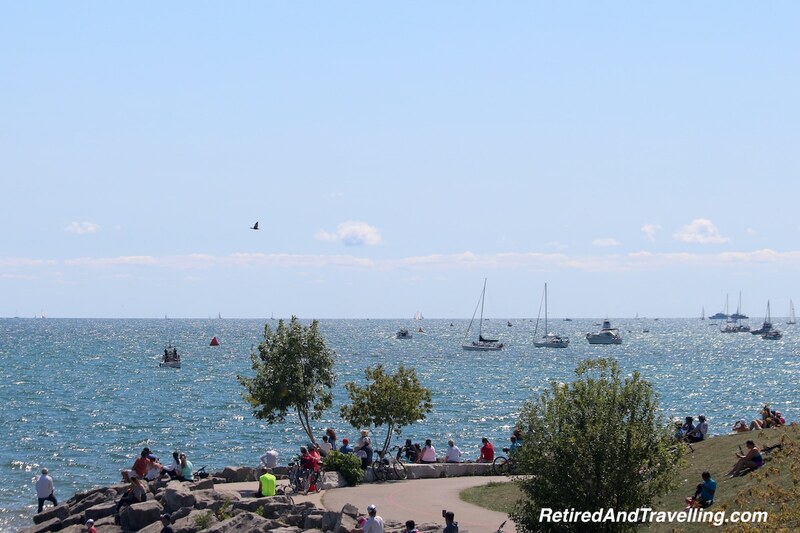 The Humber Bay was lined with boats sitting an anchor to watch the Toronto airshow. It was a fun day out for all. 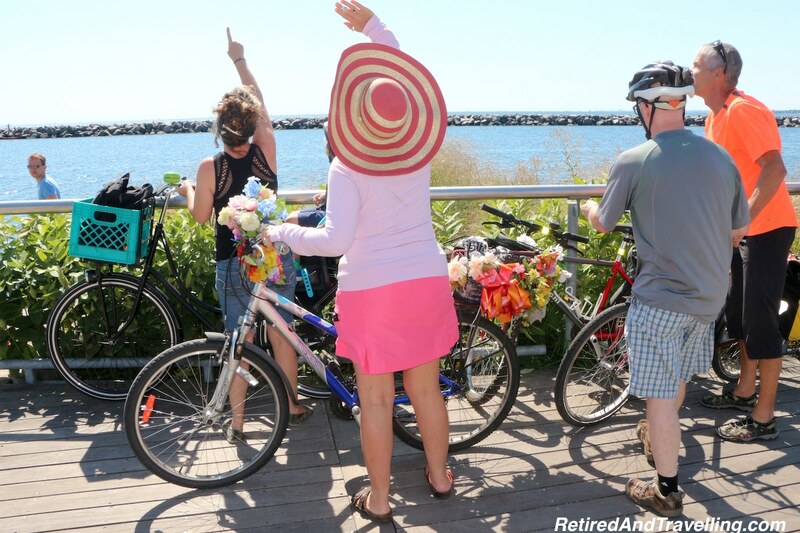 On the Sunday, we got out our bikes. 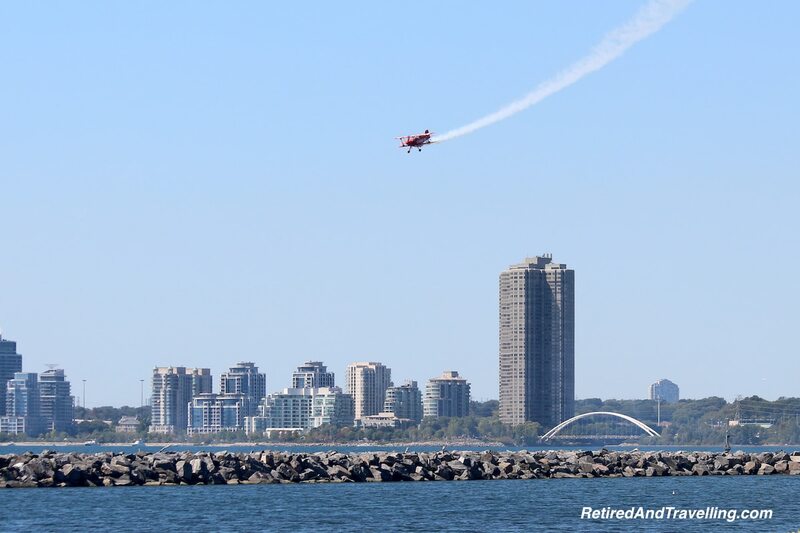 We headed towards Toronto to catch a little more of the acrobatics that were only a blur from the water by our condo. David fixed us a picnic and we found a table close to the lake. 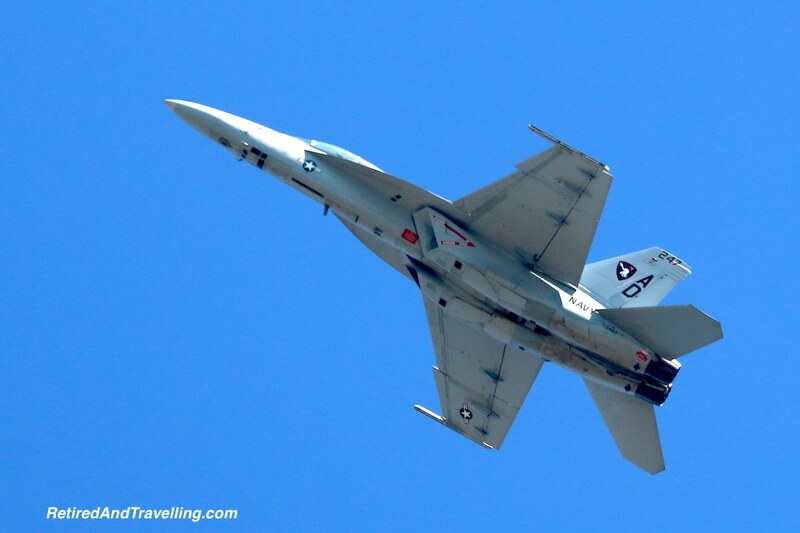 We were all set for our afternoon at the Toronto airshow. 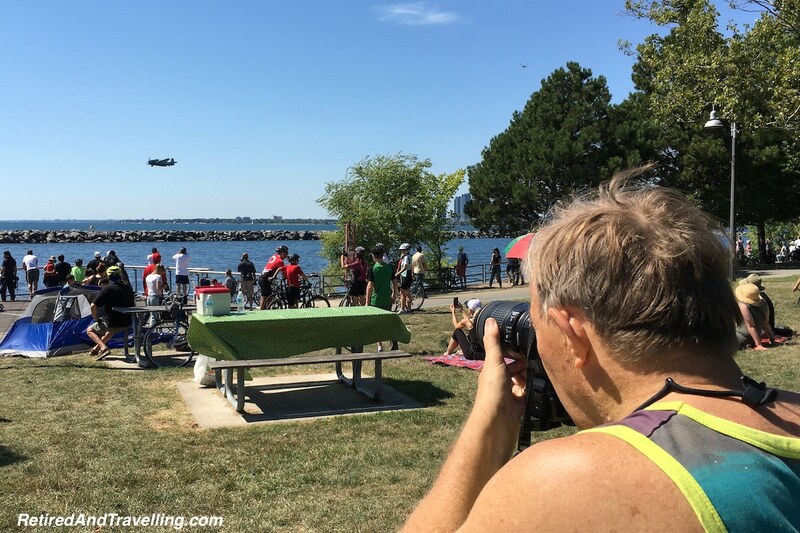 This vantage point at Marilyn Bell Park offered us a much closer view of the planes. 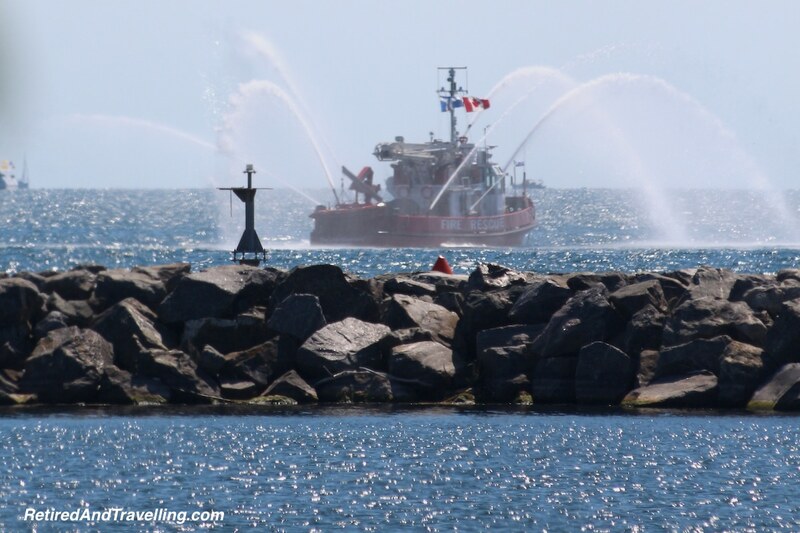 The fire tug was set up in case of any emergency. 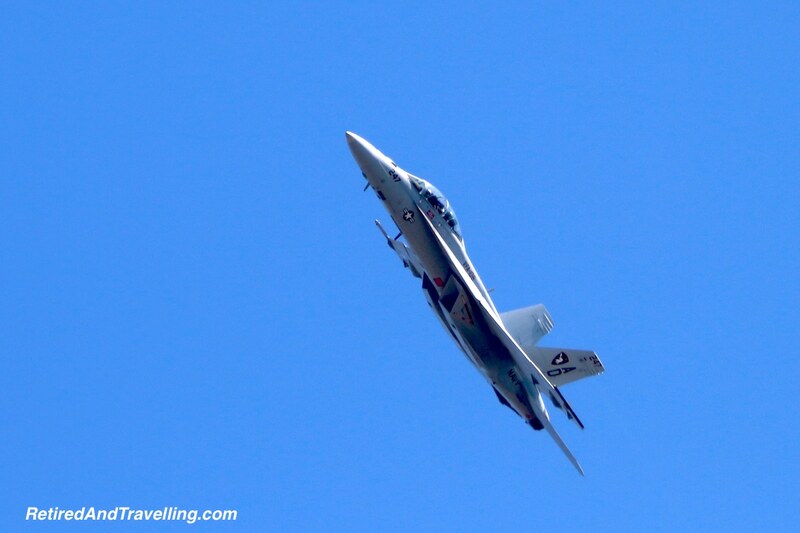 We could see the jets roar past and climb. 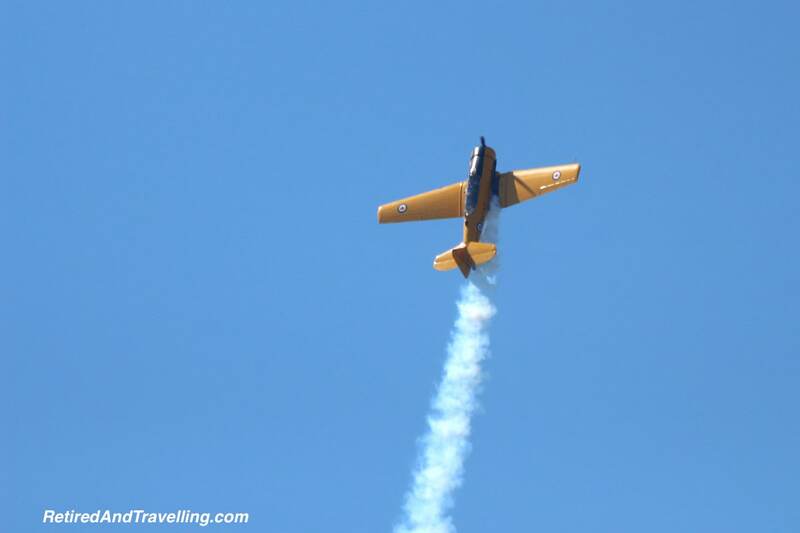 The planes kept us all entertained as they danced about and spewed smoke. 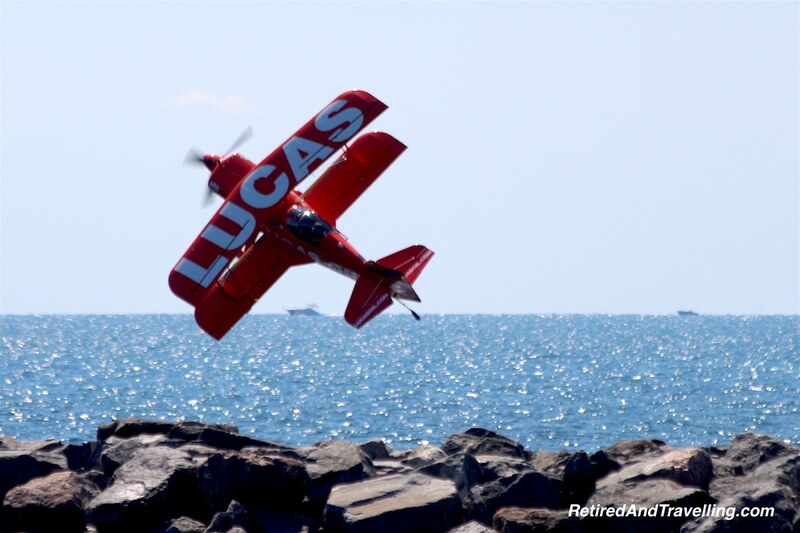 The acrobatic planes flew just feet above the water doing their dance. 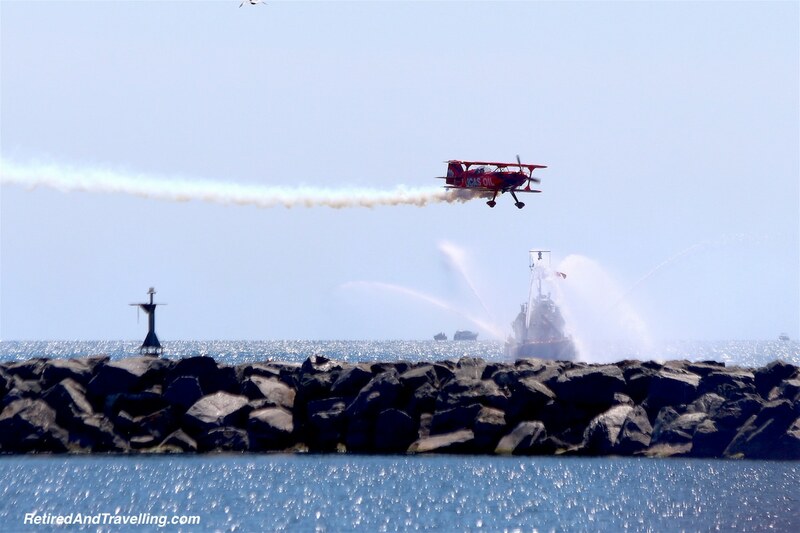 Everyone was holding their breath when the bi-plane flew by in slow flight with the wing dipped almost to the water. The park was full of people having a picnic, grabbing an ice cream cone or just soaking up the sun. 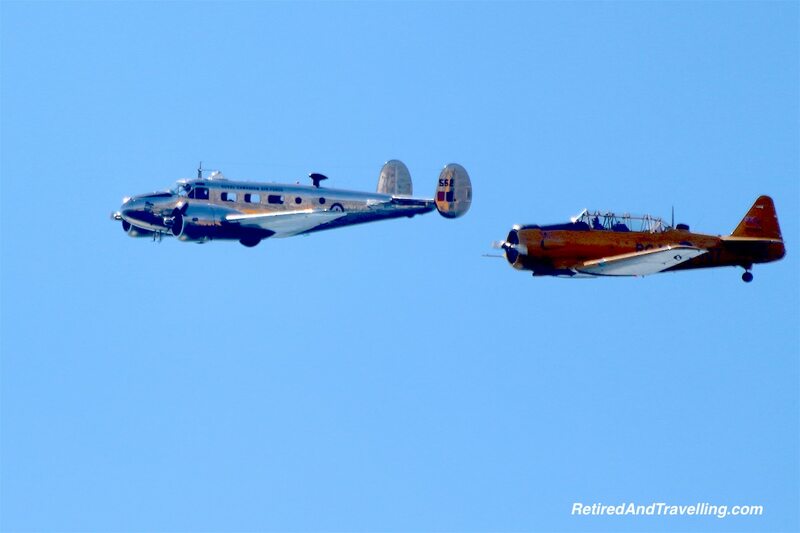 When the next set of planes streaked in, everyone came to attention. The cameras came up and we all watched in rapt attention. Watching David with “lens envy”, I knew what should be on his Christmas list next year! 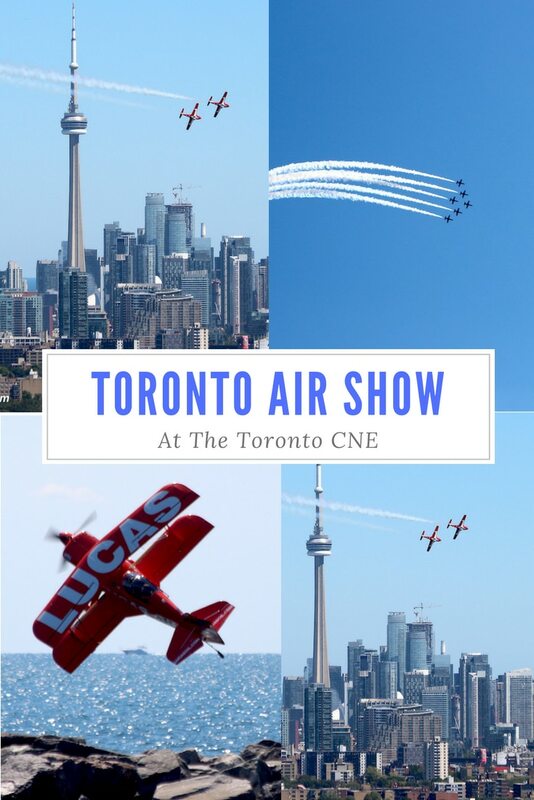 It had been a few years since we had been home on Labour Day weekend to catch the the CNE fun and enjoy the Toronto airshow. The show has gotten smaller each year as the price of fuel has increased. But it is still a great display for the crowds. It is a sad reminder that the summer has come to the end. 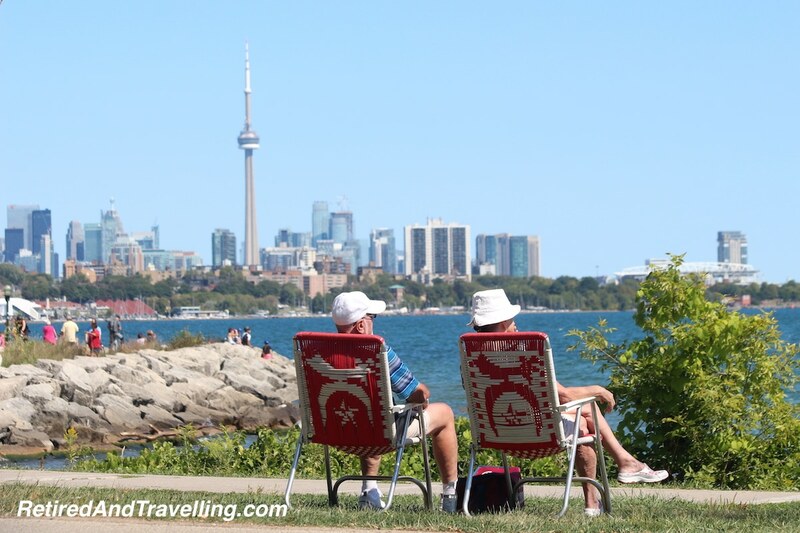 Fall in Toronto is usually a great time to enjoy great weather. But the end of summer does mean that winter is coming! 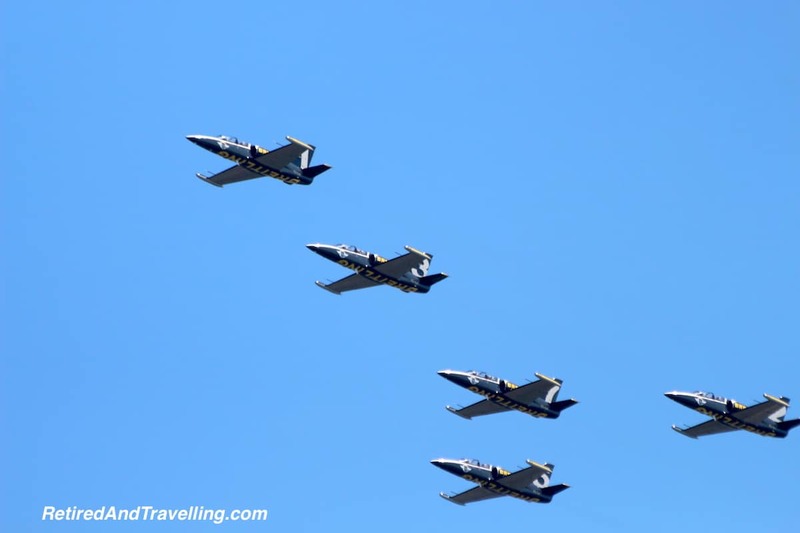 Have you seen the Toronto airshow? 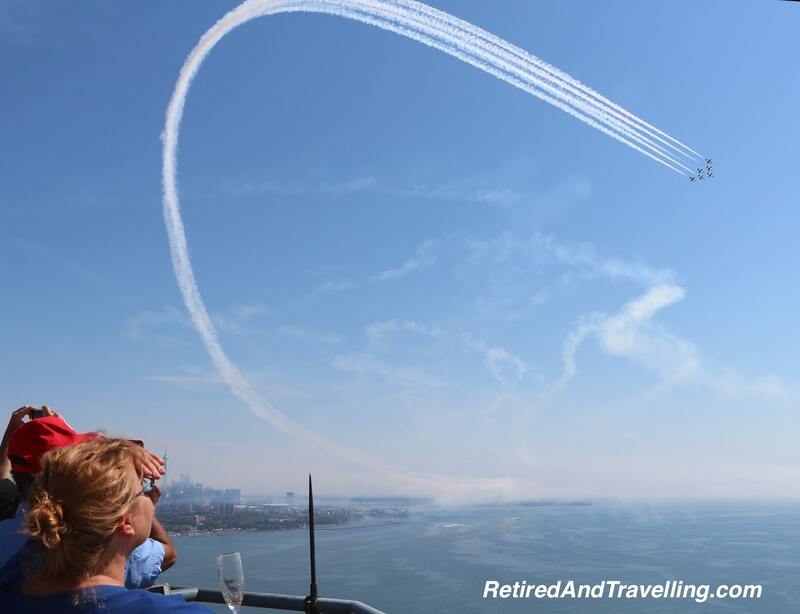 Are you a big airshow fan or just out to enjoy the last weekend of summer? Where is your favourite spot to catch it? You guys certainly made the most of the “end of summer”! Though I can’t even start to think about winter yet. It’s also really cool that you met at flight school! 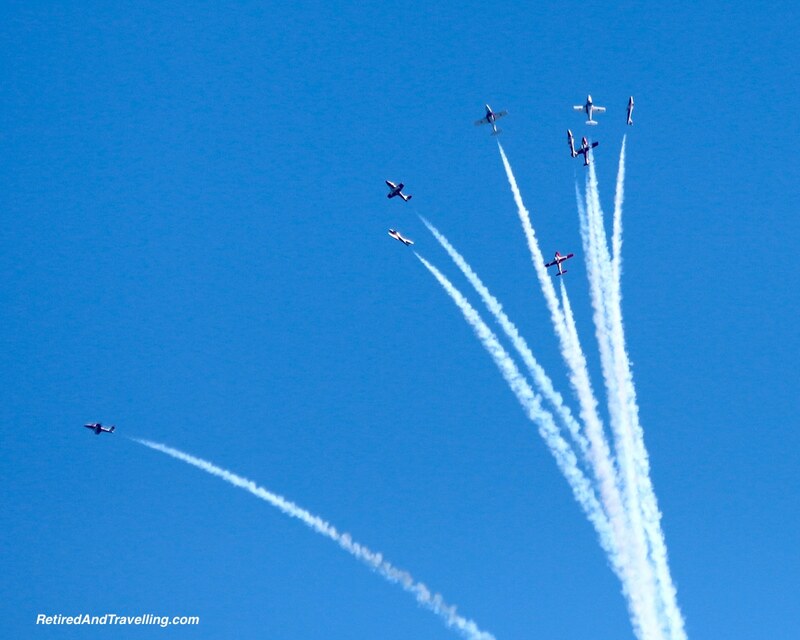 Thanks for joining up with Weekend Wanderlust this week!!! FABULOUS pix, as usual! Felt like I was right there (but out of the heat and humidity – best of both worlds). thanks!